A 5-10 minute walk from our door brings you to renowned historic locations such as Hagia Sophia, Blue Mosque, Topkapi Palace, Gülhane Park, the Spice Market, the Grand Bazaar and the Bosphorus waterside. Public transit is at our doorstep and will carry you to attractions such as Taksim square, Galata Tower and Eyüp Mosque. The nearby waterside offers you ferries & cruises along the Bosphorus to the Asian side of Istanbul, Princes Island, Dolmahabace Palace, Golden Horn, Maidens Tower and more! Harmony Hostel has been newly redecorated for 2013 and we invite you to enjoy our comfortable 6-8 bed mixed or female dormitories. Or book one of two affordable private rooms with either 3 or 4 beds and comfortable seating to relax and chat to friends in. Harmony Hostel is happy to provide you with sheets, blankets, a pillow and a towel. All rooms feature 24 hour hot water, ensuite showers, and separate ensuite toilets. Our inviting beds are individual single size beds rather than bunk beds and all have space built-in underneath to store your luggage. In addition to our under-bed storage, feel free to request the complimentary use of one of the lockers located in your room. 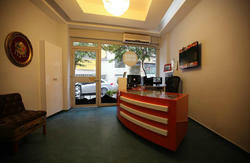 Our reception desk is open 24hrs a day and we're ready to offer you information you need during your stay in Istanbul! We are pleased to offer recommendations for local Turkish baths (hammams), tours, restaurants, entertainment, and attractions. We happily offer to arrange your tours to other historic sites across Turkey such as Cappadocia, Ephesus, and Pamukkale. Should you require a shuttle service to or from the airport we can arrange that for you (please note there is a fee for the airport shuttle). We offer free WiFi connection in the rooms, on the terrace and at the reception desk. From our open-air rooftop terrace guests can delight in the beautiful panoramic view over Topkapi, Hagia Sophia and Gülhane Park or the Bosphorus Strait during both day and night. 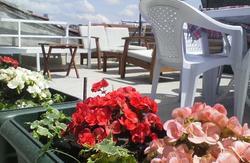 We offer nargile, beer, wine, tea, soft drinks and have become well-known for our rooftop barbecues! Breakfast is included with all accommodation. Why not start your day eating breakfast and chatting with other travellers at our terrace cafe. It runs from 8:00am to 10:00am everyday and features cheese, olives, eggs, bread, tomato, cucumber, jam, Turkish tea, apple tea and coffee. FREE Clean sheets, duvet, duvet cover, pillow & towel! Harmony Hostel offers a quiet, intimate and relaxing atmosphere for those who want to escape from the hectic pace of Istanbul at the end of the day. 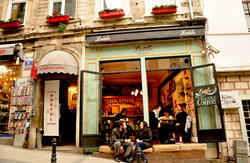 We look forward to helping provide you with a pleasurable stay in Istanbul! We hope to welcome you as soon as possible! 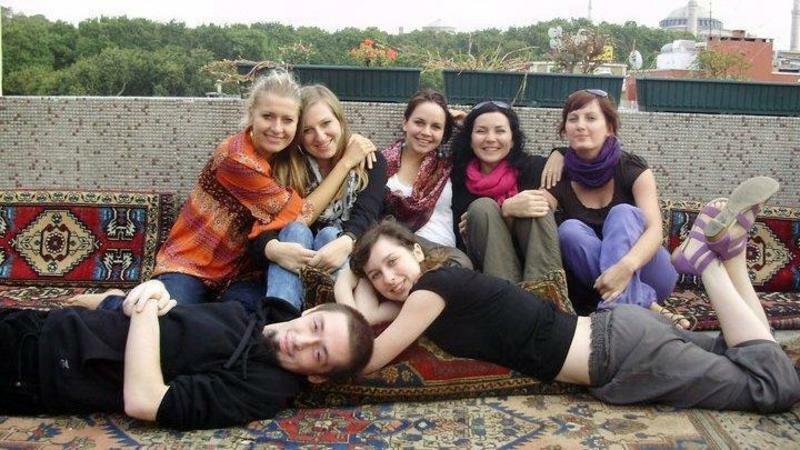 Istanbul Harmony Hostel is located in Sirkeci, the old city of istanbul. From the Atatrk International Airport you just have to take the Metro to Zeytinburnu. In Zeytinburnu you take a Tram way into the direction of Kabataş. Get out at Glhane Station. ake the Metro to Zeytinburnu. In Zeytinburnu you take a Metro into the direction of Kabataş. Get out at Glhane Station. To use our pick-up service contact us once you make your booking. Be careful when you try to reach our hostel, as there is also harmony Hotel Nearby.